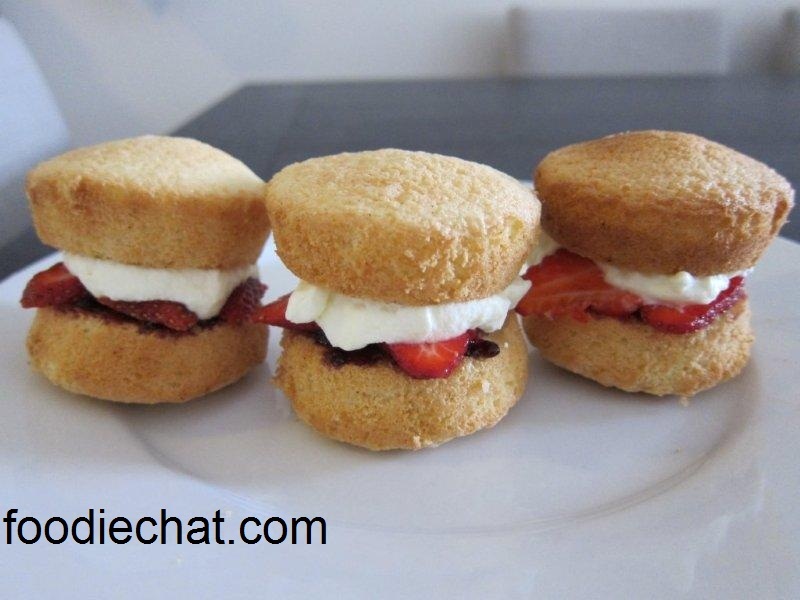 FoodieChat » Blog Archive » High Tea at Home! « Bacco Pasticceria – now at the Queen Victoria Building! 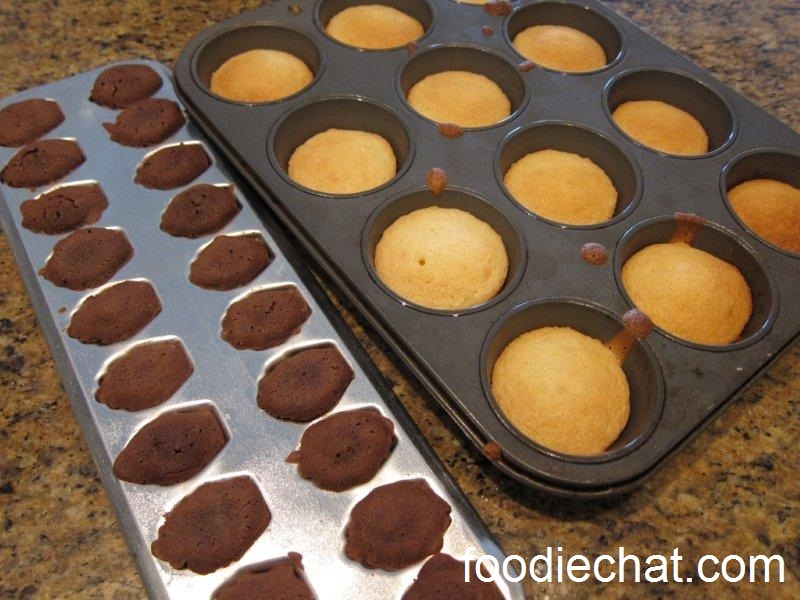 A rainy long weekend – what to do! It’s not often that I have time to spend all day baking, so why not call the girls over for some high tea - ahem, afternoon tea, and pull out the dainty tea paraphernalia. High Tea (as well call it in Australia, despite it technically being defined as a substantial meal early in the evening and what we have being called afternoon tea by definition), is generally at least $40 a person in most posh establishments such as 5 star hotels. Having it at home, I’m quite positive it would be less than $2 per person. 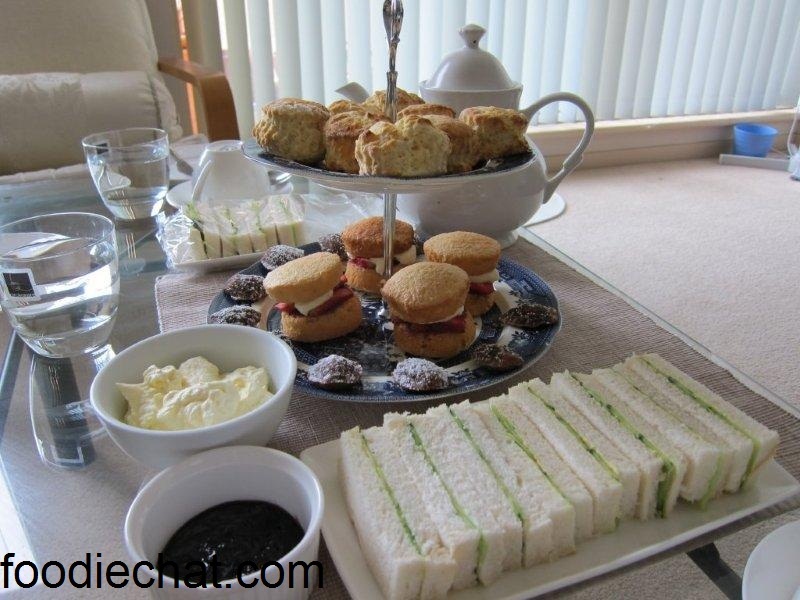 For my tea, I made scones, mini Victoria sponges, mini choc mint madelines, and cucumber sandwiches. Teas on offer were Lady Grey and English Breakfast (ie , whatever was in my pantry). In fact, almost everything was in my pantry. All I needed to buy was a cucumber, soft fresh white bread, strawberries and cream. Here’s how. 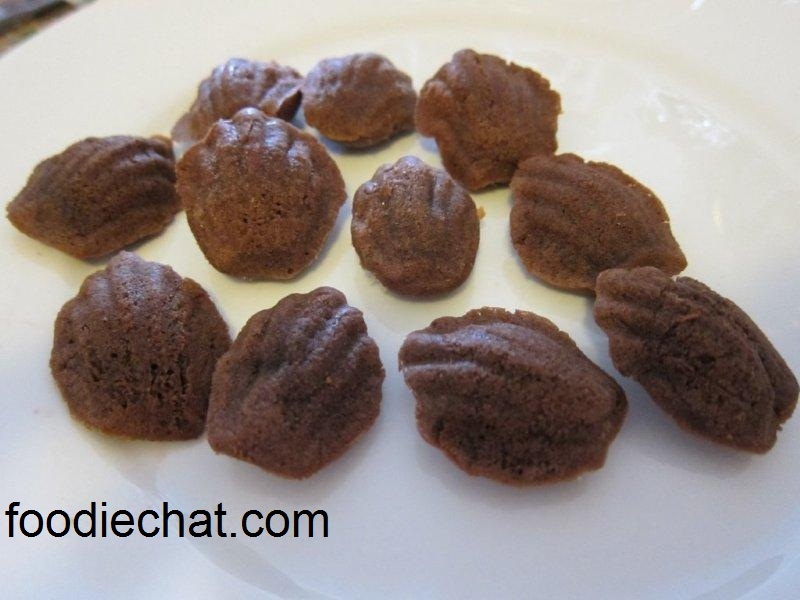 Mini madelines – need to be eaten ASAP, and they were also a bit gooey in the centres because it was a fondant recipe – yum! Dust with icing sugar. I filled the cooled sponges with raspberry jam, some whipped cream (purchased ingredient number 1), and sliced strawberries (purchased ingredient number 2). Aren’t they sooo sweet and cute looking!! 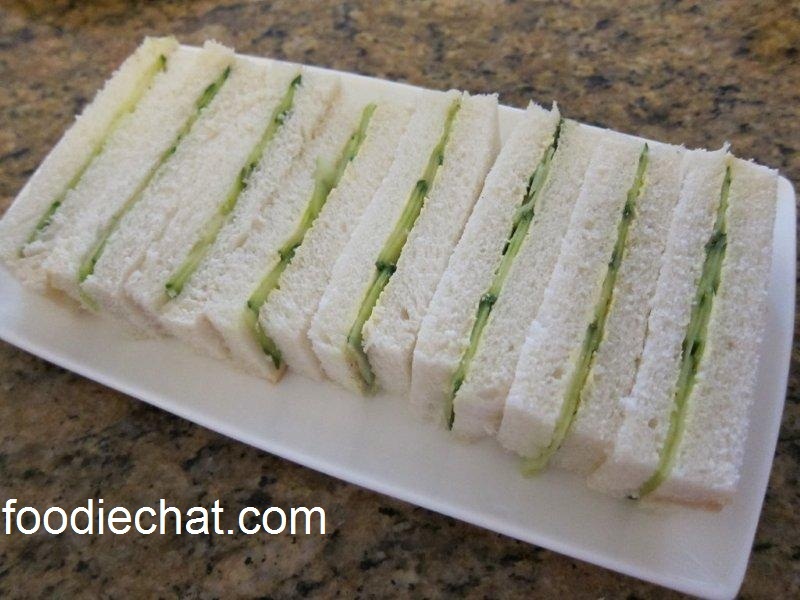 And how can it be tea without cucumber sandwiches! I lightly spread with margarine (or avocado if you have some), as butter is too difficult to spread on the fresh bread without mangling it. I also used a vege peeler to slice slivers of cucumber, discarding the seeds which would make them soggy. Arrange neatly and evenly on the bread, and stack your sandwiches in a tower to slice off the crusts and into thirds in a uniform way. And finally, just before guests arrive and after you’ve set the table, bake the scones so that they are fresh and warm – flour, cream, milk, sugar, an egg. I used the recipe from masterchef again too. And once again, all pantry ingredients For a couple of hours work, your friends will really appreciate your dainty treats almost as much as you’ll have enjoyed baking them! This entry was posted on Monday, October 11th, 2010 at 9:01 pm	and is filed under Cheap N Cheerful, Tea. You can follow any responses to this entry through the RSS 2.0 feed. You can leave a response, or trackback from your own site.